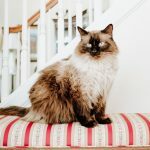 If you have set up a pet trust for the care of your pets after you are no longer able to care for them, or if you are interested in doing so, you may want to consider the following information regarding the taxation of this type of trust. There are a few types of taxes that may affect your pet trust decisions. These are, income tax, gift tax, and estate tax, at both the state and federal level. When the pet trust is established, the trustee will be required to manage the trust assets in a productive way, aka investing them in an income producing manner. This income will need to be attributed somewhere for income tax purposes; either to the grantor or the trust itself. Since a pet trust has no human beneficiaries, the income from the trust will normally be taxed to the trust itself (Rev. Rul 76-486). In some instances, the grantor could pay income tax on the trust income, for example if the trust is a revocable inter vivos trust. For non-pet trusts, beneficiaries typically have to pay income tax on distributions they receive from trust income, and the trust can deduct these distributions from its tax liability. However, since pet beneficiaries do not pay taxes, all the income is attributed to the trust for tax purposes. In the event that the human caregiver receives a stipend from this income, however, the caregiver will have to count that as income on his or her taxes. The above applies to both federal income tax and Minnesota state tax. Transfers to trusts, including pet trusts, may result in a gift tax assessed against the grantor. Generally, a gift tax applies to irrevocable transfers of property above a certain amount. The federal annual gift tax exclusion was $14,000 in 2017 and will be $15,000 in 2018, per recipient. This means that in a given tax year, you may gift assets up to this amount to multiple recipients without incurring a gift tax liability. Minnesota does not have a state gift tax. Therefore you can transfer up to $15,000 to an irrevocable pet trust in 2018 without paying a gift tax. Contributions to revocable trusts, where the grantor still controls the assets, are not subject to gift tax, but may have a gift tax assessed later if the transfer becomes irrevocable. Federal estate tax applies to estates over $5.49 million in 2017 and will be increased in 2018 to $11.18 million (announced in Rev. Proc. 2018-18). A pet trust may be affected by estate taxes if it is a testamentary trust. A testamentary pet trust is established by leaving assets in your will to a trustee for the benefit of your pets. Therefore, the assets of the pet trust will be counted toward the total of your estate. Revocable trusts are also included in estate assets for the purpose of calculating the value of an estate. 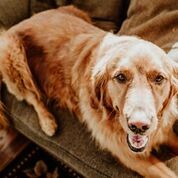 If you wish to use a pet trust as a device to reduce the value of your estate for estate tax purposes, you may consider an irrevocable inter vivos trust for this purpose. Minnesota also has a state estate tax, which applies at the much lower levels of $2.1 million for 2017 and $2.4 million in 2018. Minnesota counts the value of gifts made in the three years prior to death that are subject to federal gift tax (larger than $15,000 for 2018) as part of the taxable estate. On a related note, the IRS has ruled that a pet trust cannot be structured as a charitable remainder trust, meaning that you cannot get the estate tax benefit of a charitable remainder deduction with a pet trust. (Rev. Rul. 78-105). The above is a basic overview of taxes that may apply to a pet trust. It is recommended that you seek the advice of a tax accountant when filing taxes for your pet trust. 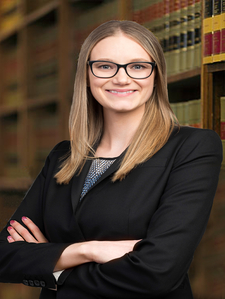 This post was created by Anne C. Longfellow, an attorney at Dudley and Smith, P.A.. If you love your pets and wish for them to be taken care of properly if something were to happen to you or are looking for an attorney to help guide you through planning your estate and whomever you wish to look after are unable to any longer, Anne would be happy to speak to you about the various options you have in order to make sure that the ones you love are taken care. Contact Ms. Longfellow at our office with any inquiries by calling 651-291-1717 or by email at alongfellow@dudleyandsmith.com. Dudley and Smith, P.A. is a full service law firm with offices in St. Paul, Blaine, Bloomington, Burnsville, Chanhassen, White Bear Lake, and Woodbury.